Variable Speed Vector or Inverter Motor. Standard National Acme Center Drive Shaft, Bearings, and Retainers. 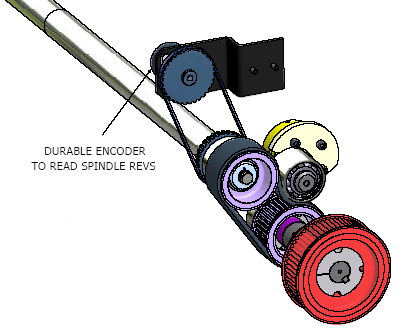 Durable Encoder to read Spindle Revolutions.